What can a guy like Harry Potter teach me about how to succeed in business without really trying? Well, maybe not a whole lot, but he sure can school me about how to succeed on Broadway. 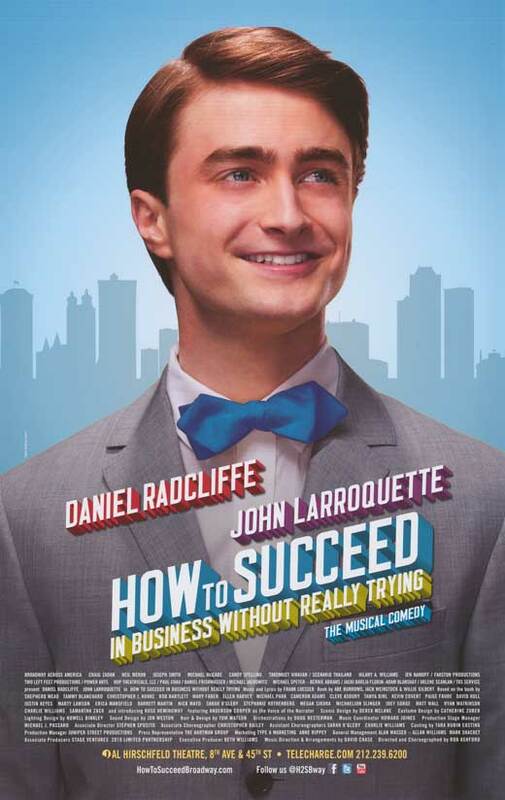 In the current revival of the musical, the boy wizard himself, Daniel Radcliffe, plays window cleaner J. Pierrepont Finch, who, with the help of Shepherd Mead’s book of the same name, quickly rises up the ranks at a large corporation where no one really knows what anyone else is doing, and a smart, savvy, and charming guy like Finch can get ahead just by knowing the right people and saying the right things at the right time. The show was first produced in 1961, and was revived in 1995 with Matthew Broderick and a pre–Will & Grace Megan Mullally in the lead roles. This production opened in March, and I finally got a chance to see it over the weekend when I was in New York. I’m a fan of the show (I saw the 1995 revival twice during that run, once with Mullally, and once when Sarah Jessica Parker replaced her), and while it’s not perfect (the first act drags toward the end, for example), it can be good fun. Thankfully, this production is fun — lots of it. Directed (and choreographed) by Rob Ashford, it’s colorful and lively, with bright costumes, an attractive set, and some appealing performances by an enthusiastic cast, including ones by Rose Hemingway (as Rosemary) and Tammy Blanchard (the daft sexpot Hedy La Rue), as well as fellow Brandeisian Mary Faber (American Idiot). Anderson Cooper supplies the voice of the narrator. 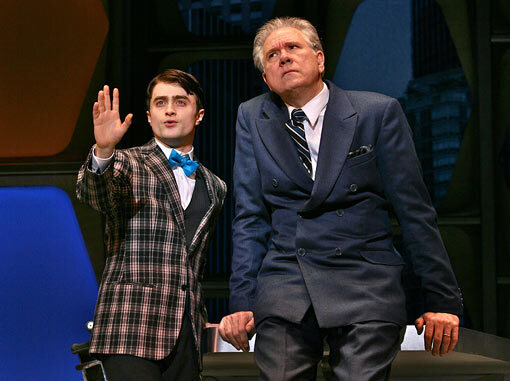 And yes, John Larroquette is also in the show; he won a Tony Award for his performance as company president J.B. Biggley, but I was less impressed by him as I was with others in the cast. It’s really to Radcliffe’s credit that the revival works so well. While not the strongest singer that’s ever hit the Great White Way, the erstwhile Harry Potter brings an appealing quality to the role that no doubt has much to do with the fact that we’ve all watched him grow up and want him to succeed here. It’s hard for “Ponty” to come off as slimy because Radcliffe portrays him as smart but not pushy, ambitious but not threatening (in any way other than a comic one, of course). 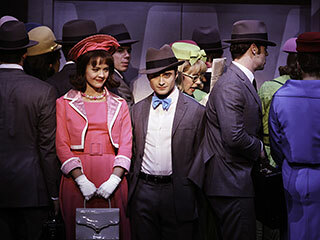 Not all the songs in How to Succeed are classics (I could do without “Coffee Break” and “Paris Original,” for example), but by the time the cast performs “Brotherhood of Man,” you’ll have a complete smile on your face. That the show has a happy ending is redundant after watching that number, but it does and you can’t help but leave the theater singing.